The High West distillery was founded in Park City, Utah, in 2007. 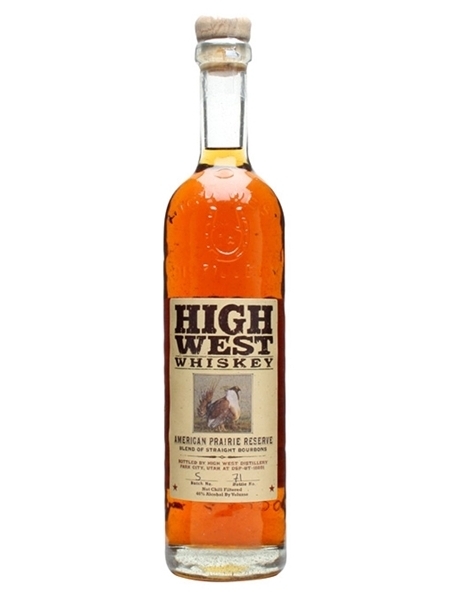 High West American Prairie Reserve (~€60) is a blend of 6 year old and 10 year old bourbons. The 6 year old is distilled by Seagrams in Lawrenceburg, Indiana and has a mashbill of 75% corn, 20% rye and 5% malted barley. The 10 year old is distilled at the Four Roses distillery and has a mashbill of 60% corn, 35% rye and 5% malted barley. The brand is named after the wildlife reserve in northeast Montana and 10% of after tax profits are being donating towards it. High West American Prairie Reserve is bottled at 46% ABV.